Two years ago, I had to plan a vacation trip to London and all I remember was spending countless hours online checking airline ticket prices, hotel prices, and switching back and forth between different dates to see which combination resulted in the most affordable trip for me. That's not to mention the days of extensive research into London's theatre scene, events, restaurants, tourist attractions, and more, to find the places I knew I'd enjoy most. If I was to plan that same trip now, I'd have a much better way of doing it through Google's new Destinations. 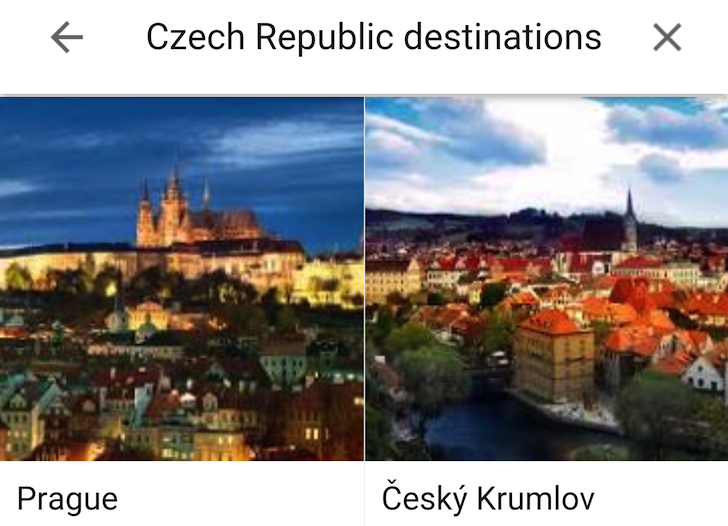 Each destination has nice photos, a short description, different suggested itineraries for several days, a list of top sights, a handy map that links to Google Maps, videos, and a few nearby or similar places. If you don't know when's the ideal time to travel, there are exact and flexible date filters to help you find the cheapest fares and average weather conditions by month to figure out the most appropriate timing for your activities. And once you're set on a specific destination, you can start planning a trip to see all possible flights and hotels filtered by number of stops or stars, respectively. It's all so incredibly easy to use and it should simplify travel planning for anyone. Now if only it packed our suitcases, fed our dogs, notified our bosses, and sprung the money for the whole thing, it'd be perfect.